You might have thought that the escapades of Happy Valley stayed in Happy Valley, but you would be wrong. You might ask yourself how one of the great fashion icons of the last 20 years could be impacted by Happy Valley. You may remember The Temptress, Alice de Janzé, may have killed Lord Erroll who had been married to The Bolter, Idina Sackville. What we failed to tell you was who actually went on trial for the murder of Lord Erroll. It was Jock Broughton. Broughton brought his new wife, Diana, to Happy Valley. 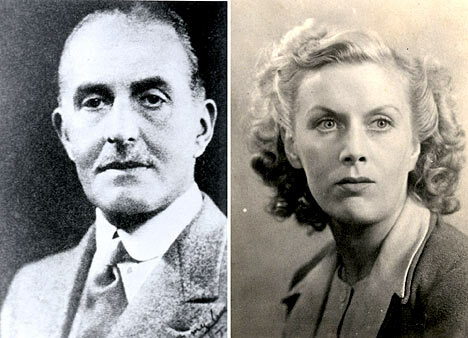 Diana began an affair with none other than Lord Erroll, making Jock the main suspect in the murder. He went on trial and was acquitted. There were no witnesses and some confusion about the spiralling on the bullets. Oh yes, and his barber was the jury foreman and well... he probably didn't do it. Still, he was ostracised from Happy Valley, so he returned to England. Depressed and lonely, Broughton killed himself. 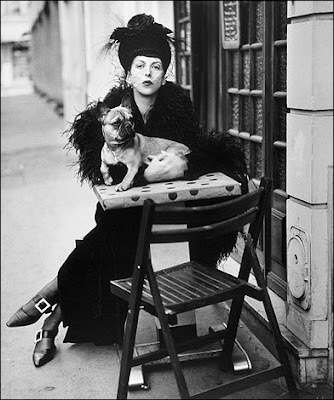 Isabella Blow was one of those people who could see through the dross and find the shiny surface. Finding people was her supreme talent. She found Philip Treacy, who found a muse in Isabella. She found Sophie Dahl crying on her steps and turned the buxom Sophie into a sought-after model. She found Alexander McQueen, who treated her quite badly and eventually took his own life. Isabella was one of those rare individuals who was s just that -- individual. In today's climate, women seem to all be striving to look alike. Isabella's unique looks plagued her own identity. Frankly, I wouldn't trade one Isabella Blow for the hundreds of clipped, spray tanned, botoxed Barbies out there. Her husband, Detmar Blow, has written a bio/memoir about Isabella. It is a sad read. Those around her tried valiantly to provide a safe place for Isabella to be Isabella, but in the end, no one could save her. Isabella Blow was one of those women you wanted to see haunting the runways and back alleys of fashion well into her 90's. We will never get that experience and that make me sad. There are several book about Isabella Blow surfacing now. I am most interested in Lauren Goldstein Crowe biography coming out later this year. When I read it, you will be the first to know! Just love visiting here. You have such interesting posts, never heard of her, but now i am interested.. 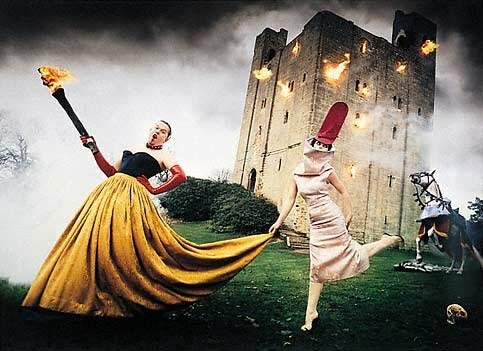 I never heard that McQueen treated Isabella Blow badly. Can you give an example? I'm curious. Mamacita, as Cyndi Lauper would say, "Money, money changes everything." When McQueen finally had big paydays, (many of them with Blow's help) he failed to share the wealth. She helped him with his big LVMH, but he signed the contract without providing anything for her. Kind of crappy if you ask me. I like what you wrote, and I, too, am looking forward to the Lauren Goldstein Crowe biography for another perspective, though, I found his loving and protective, and still kind to all parties involved, all the while telling his truth. I like your reference to her being in the fashion wings well into her 90's... so very true! Such great creatures come along so rarely, and my heart aches that she felt so unloved that she did what she did. I'm so happy to make your blog acquaintance, Miss Lucindaville!!! and look forward to it! !